Plex Media Center has a handy (but often overlooked) feature that makes it dead simple to save a video you find on the web for later viewing from the comfort of your couch. Let’s look at how to easily send videos to your Watch Later queue. If you’re anything like we are, you come across tons of interesting video clips throughout your week–but not at convenient times to watch them. Wouldn’t it be great if you could save those videos to watch at a better time and in a better place–like after work at home on your big screen TV? 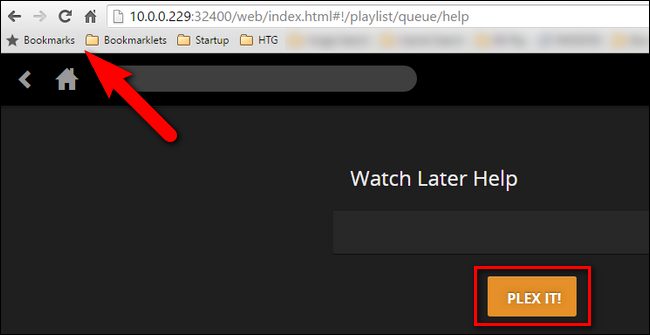 Thankfully with Plex Media Center’s “Watch Later” queue, you can easily shuttle video links off to Plex for later viewing. Now when your friend posts a link to an interesting documentary that you just don’t have time at the moment to sit down and watch, you don’t have to worry about forgetting it. You can simply send it over to Plex and watch it at a later date. Everything you need is built right into your Plex system, the only prerequisite to following along with the tutorial today is that you have Plex Media Center installed and configured, and that you have a web browser or email client (to take advantage of the two ways to send links to the Watch Later queue). Before we proceed there’s only one real caveat you should be aware of. The Watch Later queue works with dozens and dozens of video sites like YouTube, Vimeo, VEVO, and major news sites like NBC, PBS, and more, but it won’t work on sites that require you to log in with a subscription like Netflix, HBO GO, or Amazon Prime Video. There’s a tiny amount of prep work involved to get your Watch Later queue up and running, but it shouldn’t take you more than a few minutes. Before we begin using the Watch Later queue, we need need to configure the two methods you can use to send files to the queue: the “Plex It!” bookmarklet and your personal Plex queue email address. First, connect your your Plex Media center through the web interface. Select “Watch Later” from the left-hand navigation bar, located under the “Online Content” subheader. Right now, the Watch Later queue is looking a little bare, as you haven’t started using it. Look for the faint question mark icon next to the “Watch Later” text at the top of the screen. 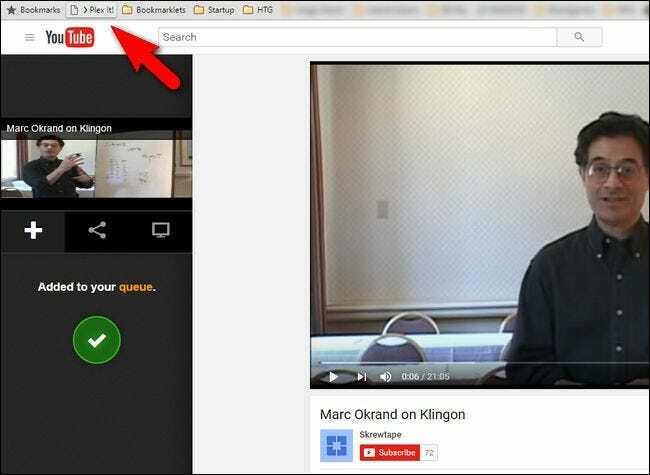 When you click on the icon you’ll see instructions on how to add video from your web browser at the top of the page. There will be a large orange button labeled “PLEX IT!”. Click and hold on this button and then drag the button to the toolbar of your web browser. Before we leave the help page for the Watch Later queue, we have one more task. Scroll down the page until you see the “Add Videos By Email” section. There you will find a long email address, like the one seen below. This address, composed of the word “queue” followed by a long string or random letters and numbers and the “save.plex.tv” domain, is the unique email address for your Watch Later queue. We highly recommend making an address book entry in your email account for this address and assigning an easy-to-remember name to it, like “Plex Queue” or “Watch Later”. If you’re a stickler for completeness like we are, and want a Plex logo for your contact list, you can snag their logo here like we did. At this point, you’ve set everything up so your Plex Media Center Watch Later queue is up and running. You just need to start sending video over to populate it. Doing so is trivially easy, and we’re sure you’ll find yourself using the feature all the time now that it’s set up. When you’re browsing the web, you can use the Plex It! bookmarklet to add video on the page you’re visiting to your queue. 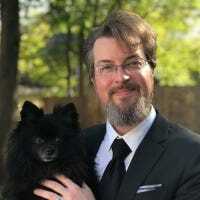 Let’s say, for example, a friend of yours posts this interesting video of linguist Marc Okrand talking about how he created the Klingon and Vulcan languages for the Star Trek universe, and you’d like to watch it later. To do so, you would simply click on the “Plex It!” bookmarklet. Immediately thereafter, the Plex bookmarklet sidebar will appear on the left hand side of the screen and begin searching for a video on the page. Upon finding it, will automatically add it to your Watch Later queue. What if you’re not at your regular web browser, and you don’t have the bookmarklet handy? That’s where the email function proves particularly useful. 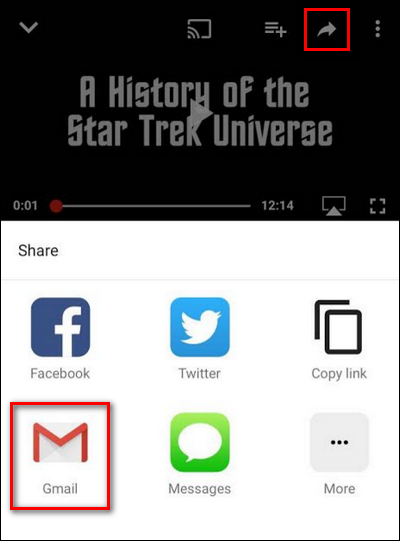 If you’re on your phone, for example, you can easily click the share button and email the video link to your Plex Queue email address. 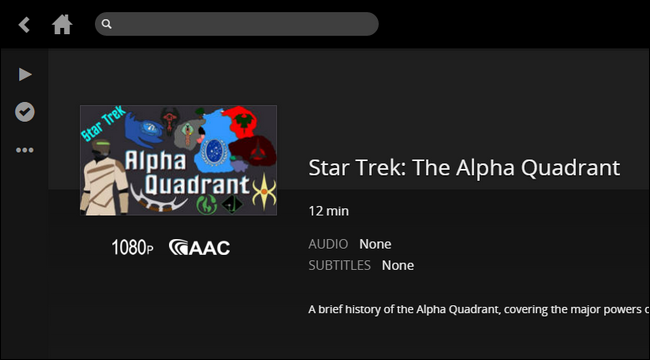 Let’s say you found this video about the history of the Alpha Quadrant in Star Trek using the mobile YouTube app, and you’d like to watch it later. You just need to tap on the share button and select your email client of choice, as seen below. Then it’s just a matter of typing in the nickname you made for your Plex contact (e.g. 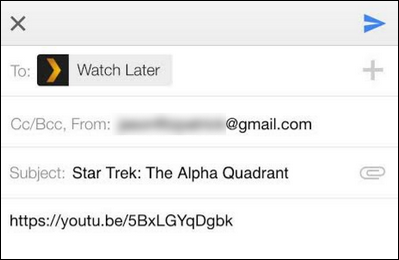 “Watch Later”) and you can send the clip right over to your queue. Now that we’ve sent two videos over to the queue, let’s take a look at what the queue looks like. Things are looking a little more lived-in now. We see the two videos, and the navigation tabs in the upper right corner have more information: the All tab has a “2” next to it, indicating how many total videos there are, the “Unwatched” tab also has a 2, and the “Watched” tab has no marker because we haven’t watched any of our videos. Or, from the main queue, you can click the small play, marked watched, or delete buttons to immediately interact with the clip. From here you can watch the videos directly from your browser, send it from your browser to a Chromecast, or browse the Watch It later queue directly from Plex clients like those found in various Smart TVs. That’s all there is to it. With a little prep work you can set up your Plex Media Server to siphon up all those great video clips you find while wandering the web, and then sit back and enjoy them from the comfort of your couch.